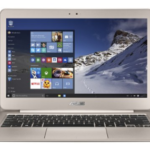 Ladies and gentlemen, today I'm going to introduce a new released laptop, ASUS F554LA, which is a 15.6″ device equipped with an Intel Core i7-5500U 2.4 GHz Processor, 8 GB DDR3L SDRAM, and 1TB HDD Storage. 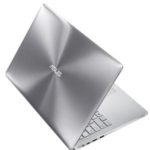 It highlights 15.6 inches 1366*768 pixels LED-lit Screen, Intel HD graphics, 802.11bgn WiFi, 2 USB 3.0 Ports, DL DVD±RW/CD-RW optical drive, VGA Camera, and Bluetooth 4.0. 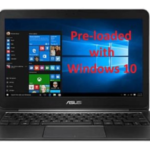 This laptop is preinstalled with Windows 8.1 (64bit) operating system, you can upgrade it to Windows 10 for free. Guess what? 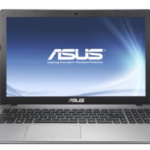 the ASUS F554LA has become a hot new released laptop at Amazon, this is why I'm so eager to introduce it to you guys. With a modern design and powerful performance, the F554 is the ultimate all-purpose computer. The body’s textured finish not only gives the laptop a unique look, it also serves as a protective coating, preventing accidental scratches and annoying fingerprints. The only thing that rivals the design is the performance. The latest 5th gen Intel Core i5 or i7 processor (varies by models) provides all the power you need for everyday tasks – from web browsing and video conferencing to gaming and HD video streaming. I expect a lot from a computer. I expect a computer that can run heavier programs, still game, and doesn't hurt my already injured back with the weight. 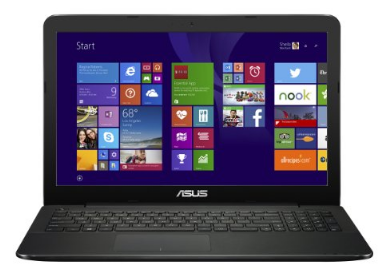 I switched from Toshiba to Asus and I must admit I was scared because my two laptops have always been Toshibas. I work for IT in my college and my boss told me if I wanted a quality computer that will last me and will be worth the investment, Asus is the way. They have a good brand name as it is and I took a leap of faith. It truly is worth it. When the hard drive began the ticking of death on my old computer, I looked into computers for a good 2 weeks. After all my research and using my own expertise on computers, I picked this one and honestly I love it. 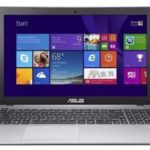 Well, what's your opinion about the ASUS F554LA 15.6 Inch Laptop?